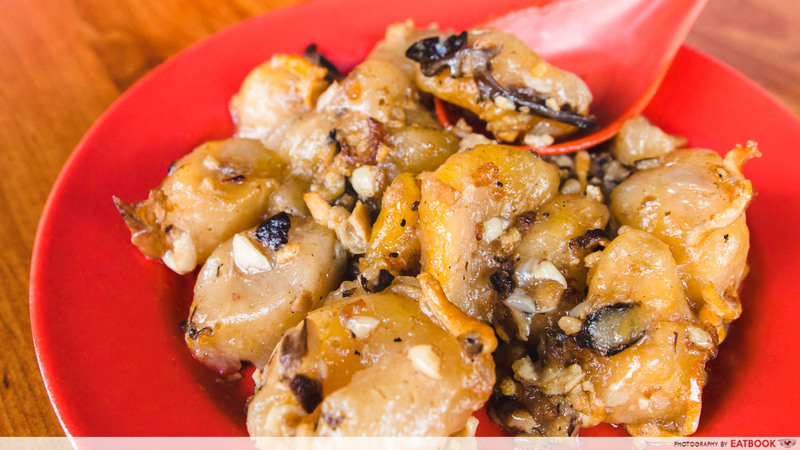 Hakka cuisine is something I hold dear to my heart, because it reminds me of my grandma who used to cook Hakka dishes for dinner. 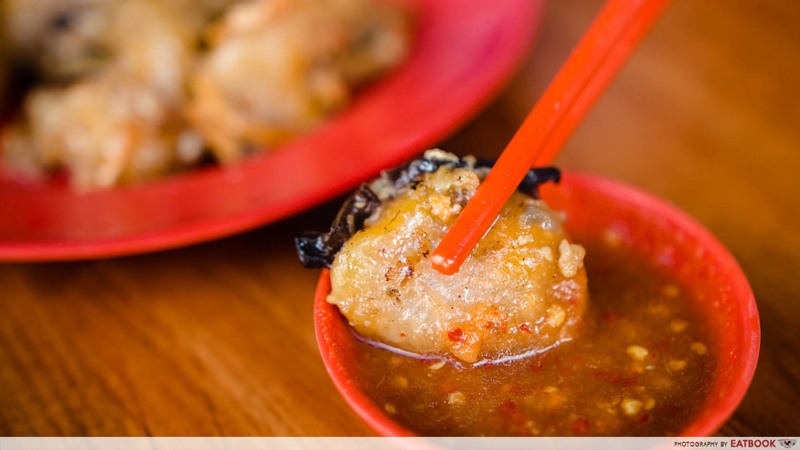 We both share a favourite Hakka dish, which is none other than the classic suan pan zi, or abacus seeds. As a kid, I enjoyed hangin’ around the kitchen, and would sometimes join her in rolling out and shaping the dough into disc-like shapes. But now, age is catching up to her and she lacks the strength and energy to cook up a feast. 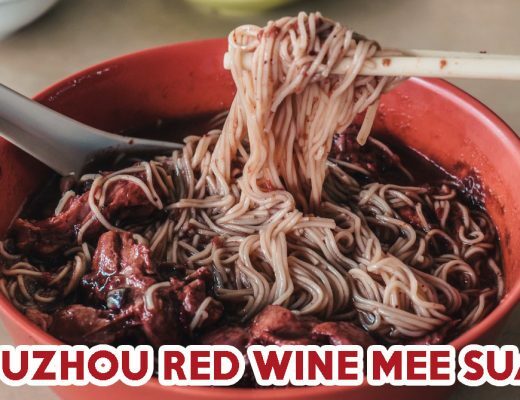 As such, I’m always on the lookout for traditional Hakka fare that can compare to my grandma’s, and when I heard about The Beef House, which serves affordable Hakka dishes, I knew I had to drop by. Right after I placed my order, an uncle behind me got a box of six soon kueh ($1 each) to go. 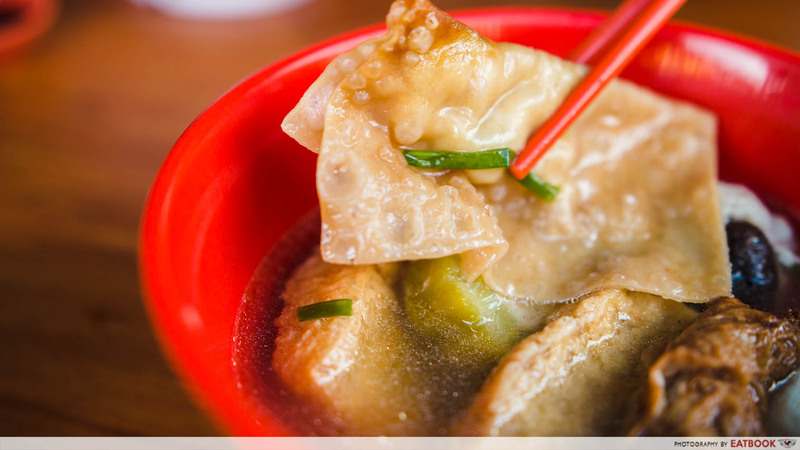 Hearing his order made me anticipate sinking my teeth into the flat dumpling, because it definitely has to be good for one to order this many! Indeed, my expectations were met. The dough was made of yam, which made the skin extremely chewy – most would say ‘Q’. 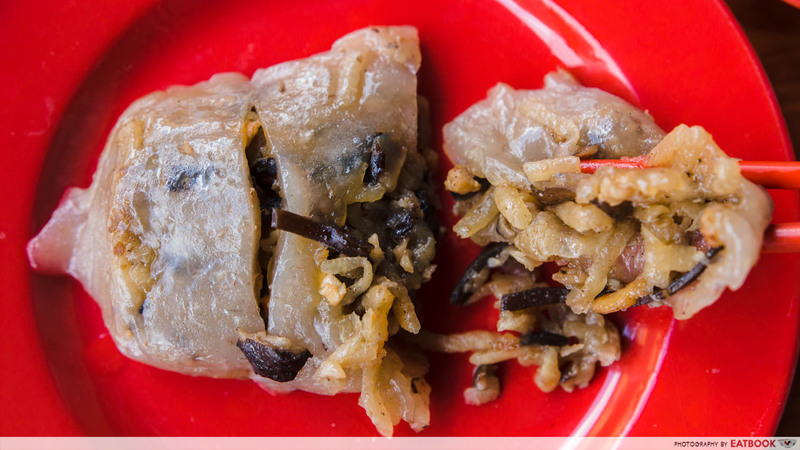 Each plump soon kueh was literally bursting with ingredients such as shredded bamboo shoots, jicama, dried shrimps, and mushrooms. The crunch and flavour from the ingredients paired well with the soft and chewy yam skin. 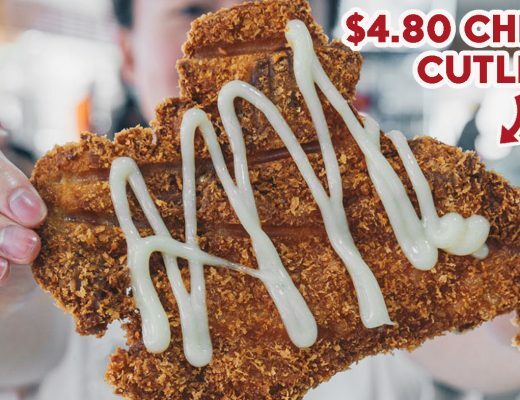 One bite was all it took for me to regret not ordering one more. I was particularly excited to try The Beef House’s Abacus Seeds ($2) to see if its taste is on par with my grandma’s version. Upon first glance, I was slightly disappointed that the abacus seeds here were missing the dish’s signature indentation in the centre of each seed. Nonetheless, the sheer fragrance of the dish was enough to make me salivate and look past that. Unlike my grandma’s recipe that uses purely yam, The Beef House uses a mixture of both mashed yam and pumpkin for the dough. This created an extremely chewy texture, and I could clearly taste both the pumpkin and yam in each abacus seed! A thin layer of oil clung onto each ‘button’, along with dried shrimps, mushrooms, black fungus, garlic and minced meat. 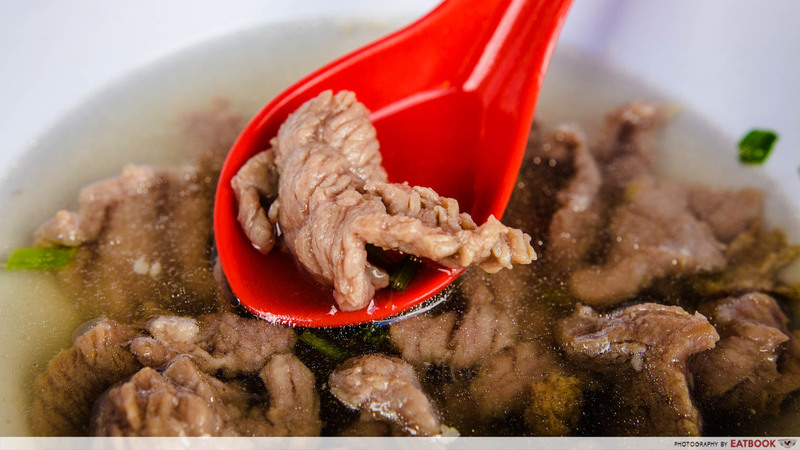 Every ingredient, from the crunchy black fungus to the soft minced meat, played a part in giving this dish a good mix of textures. On its own, the abacus seeds were already bursting with a robust flavour thanks to the dried shrimp, but I still liked to have mine dipped into the chilli sauce for a sweet, sour, and spicy kick. Hakka Yong Tau Foo ($4) took a while to prepare, and was placed on the table piping hot. 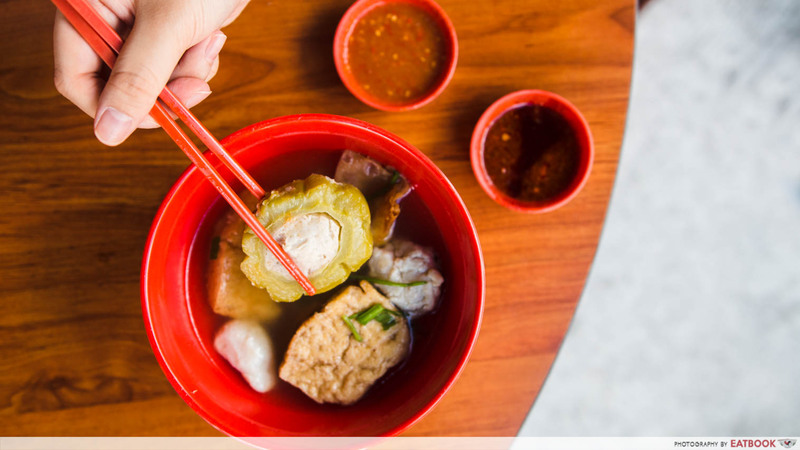 Each bowl comes with seven standard yong tau foo ingredients. 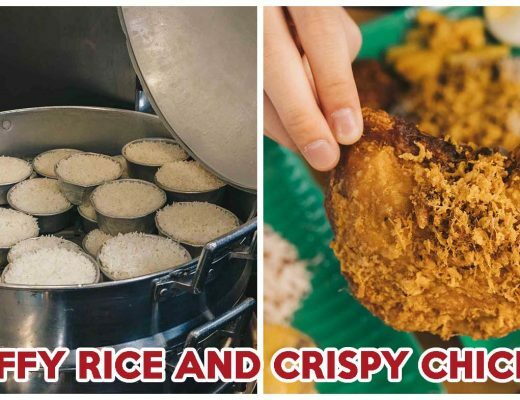 Most of the ingredients we got were the usual ones you can find at regular yong tau foo stalls, but one ingredient worth mentioning is their deep-fried dumpling. Being part of the self-created Anti Soggy Food Club, I surprised myself by going in for a second bite, after my first mouthful of soggy dumpling skin. 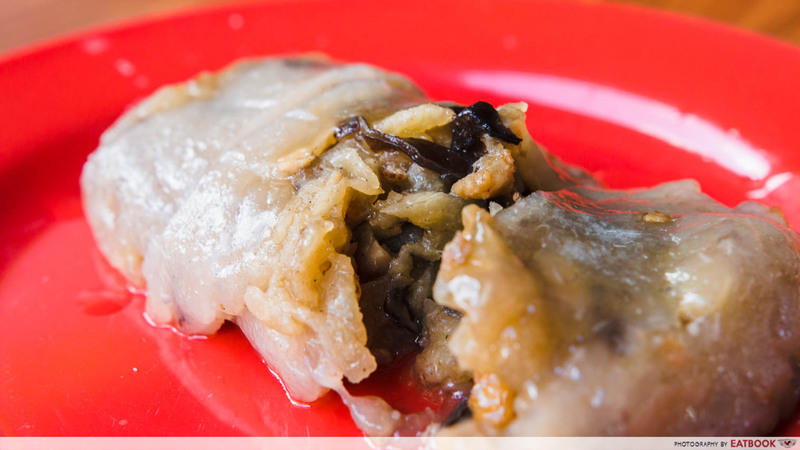 Despite being soaked, the dumpling skin took on a melt-in-your-mouth texture and crumbled on my tongue. I would, however, appreciate a better filling-to-skin ratio. The component of this dish that blew me away was the ordinary-looking soup. It hit all the right spots by being comforting and light on the palate, yet still retaining its flavour from the different meats and soya beans. I honestly wouldn’t mind drinking this all day! I was taken aback by how generous they were with the beef slices in this Slice Beef Kway Teow Dry Set ($4/$5/$6), given that we got the smallest portion. I expected the soup for this dish to taste the same as that in the Hakka Yong Tau Foo, but it didn’t. The soup here took on a stronger taste of spring onion – not really my thing. 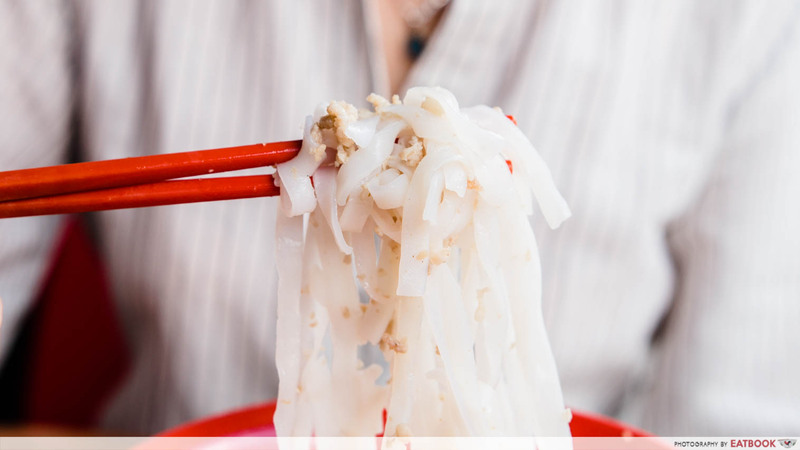 The kway teow noodles that came in a separate bowl had minced meat mixed into each strand of noodle. I chose to eat this the same way I would enjoy a bowl of tsukemen, which is to dip the noodles into the soup and top it with a slice of beef. The beef was extra tender, and had no hint of beefy smell. We were lucky to get a good mix of beef slices with differing fat-to-meat ratios. 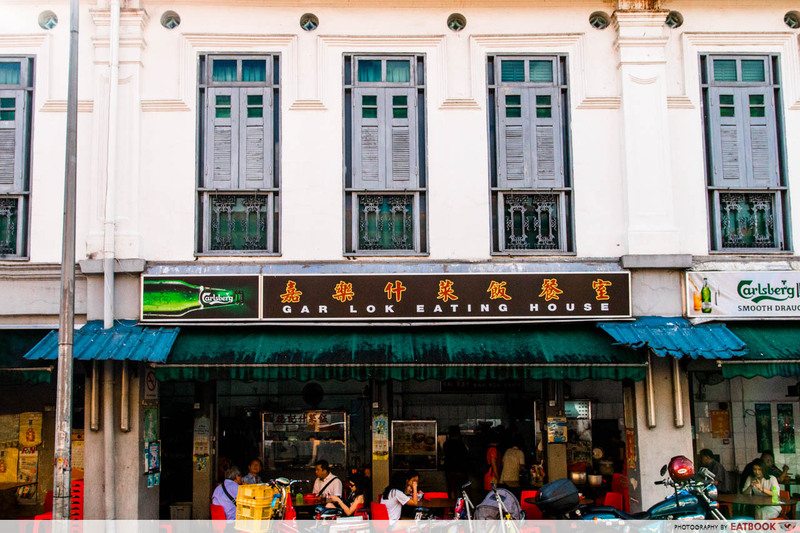 There are only two food stalls in Gar Lok Eating House, hence it won’t be difficult to spot The Beef House. 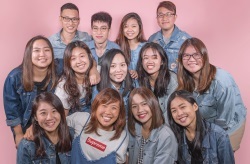 The ventilation here is not the best due to the lack of fans, and the hawker centre occupies quite a small area, which means there are limited seats and stuffy air. You might have to share a table with others if you choose to dine here. I suggest heading down before noon when the weather is relatively cool, or dapao and eat in the comfort of your own home. 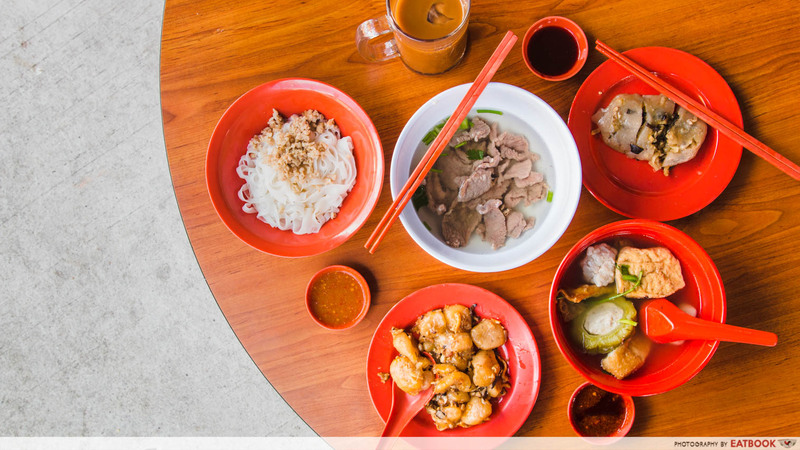 I’m glad to have stumbled upon this gem that serves affordable and comforting Hakka dishes, and would definitely dapao their soon kueh if I’m in the area. I might even suggest this place the next time my family heads out for brunch! 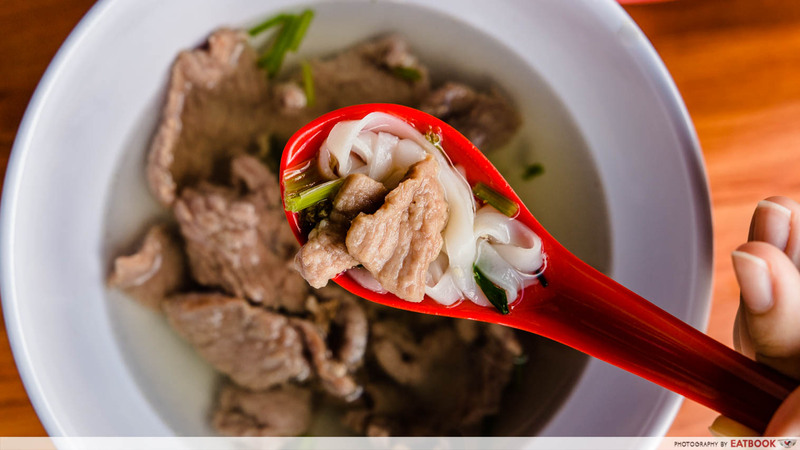 For those who are interested in traditional Fuzhou dishes, check out Seow Choon Hua Restaurant. The Beef House is not a halal eatery.